Keto Tex Mex sheet pan chicken an easy, one pan meal with little clean up it’s a fantastic option for busy weeknights. This recipe for keto bacon wrapped Tex-Mex chicken sheet pan dinner is the perfect way to ensure a delicious low carb meal gets to the table fast. Because it’s made in a single pan it makes clean up a breeze. The prep time for this dish is minimal. 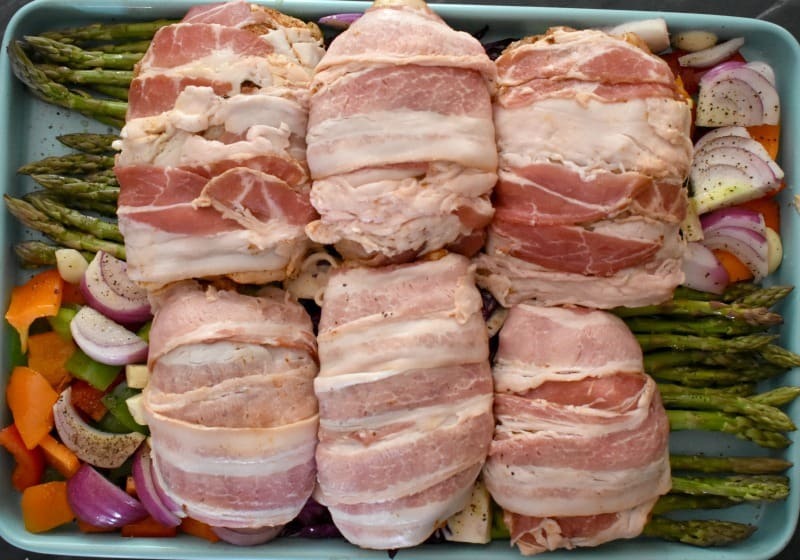 Once you season the chicken thighs and wrap them in bacon, what’s left is choosing what vegetables to lay the chicken on top of. I’ve left the choice of which vegetables to place underneath this keto Tex Mex sheet pan chicken up to you. My only recommendation is that you choose vegetables that are low in carbs and can withstand high heat. My advice it to use broccoli and cauliflower florets, cabbage, peppers, onions, and asparagus. But the choices are vast as long as they meet the criteria of being low carb and can be cooked at a high temperature. 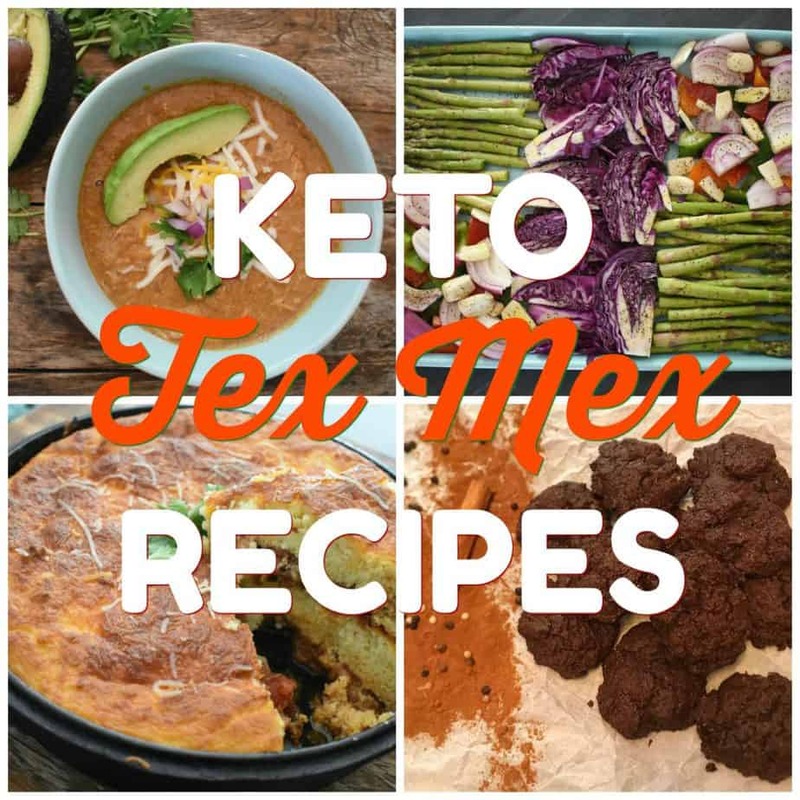 If your a fan of the flavors of that abounds in Texas and Mexico, then make sure you also visit our Easy Keto Tex Mex Recipes, where you are sure to find several recipes that will satisfy your taste buds. 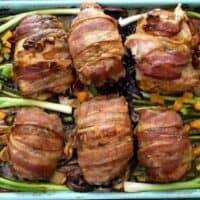 I also have a complete list of Keto Chicken Recipes that I encourage you to also visit. Making a Tex Mex flavored chicken in a sheet pan is as easy as wrapping your chicken in bacon, seasoning it with a combination of Tex Mex spices and deciding what vegetables to include. In fact, you can even prep everything ahead of time, up to two days in the fridge. Chopping your vegetables ahead of time will save you time making it easier to bring dinner to the table quicker. I grew up eating sheet pan dinners before it was a thing. Although let’s face it, my Mami would not have called it a “sheet pan meal”. Because the term sheet pan dinner, was not around back then. BUT…can I tell you that nonetheless, herb roasted chicken with veggies was finger-linking delicious?!? I have several fond food memories but when it comes to basic comfort food, Mami’s roasted chicken with veggies is pretty high on my list. I recall how I was wooed into the kitchen by the aroma of a chicken being lovingly roasted. The vegetables would cook in the drippings of the chicken fat and were caramelized to perfection. That food memory would explain why keto meals that feature roasted chicken is not a rare thing in our home. My Keto Tex Mex sheet pan chicken, combines the ease of cooking on a sheet pan, with the classic flavor of bacon wrapped chicken. Making it one easy weeknight meal. Can I hear an amen for easy keto meals? I love serving my keto bacon wrapped Tex-Mex chicken sheet pan dinner straight off the pan. Why? Well, the presentation is simply stunning. PLUS sheet pan dinners avoid a sink full of pots and pans. Less clean up meals are especially convenient on busy weeknights. When I want to cook a healthy low carb meal, but don’t want to deal with a big mess afterwards. Tell me that’s not something you desire also? I enjoy cooking and all but the clean up afterwards? Well, not so much. Guess what? My Keto Tex Mex sheet pan chicken is also a budget-friendly keto meal. So, please don’t tell me that it’s too pricy to eat keto. It really is all about making the best choices for your particular needs. It is possible to do a low carb diet on a strict budget. We know lots of people who do so every day and are having great results. For more low carb keto recipes, make sure you checkout our Low Carb Keto Recipes . If you are a follower of our blog you may have noticed that this girl is a fan of Tex-Mex flavors. I can’t seem to get enough of these flavors. I don’t know what exactly draws me to these spices but the smokiness of chipotle pepper, cumin, chili powder always gets me. Make sure you also visit our collection of Keto Tex Mex Recipes! If Tex-Mex isn’t your thing, you can surely try using your own favorite blend of spices. The point is to make a keto sheet pan meal that everyone in your family will enjoy. Why Chicken Thighs Instead Of Chicken Breasts On Keto? I used boneless, skinless chicken thighs for this recipe. Mainly, because it’s a fattier option and it’s the preferred choice in the keto community for this very reason. Also, the use of chicken thighs in my keto bacon wrapped Tex-Mex chicken sheet pan dinner, ensures a juicy flavor full option. White meat is always more likely to dry out when cooking at higher temperatures plus the portions are much larger. These days we rarely eat chicken breasts simply because our appetite has taken a backseat since being in a deep state of ketosis. Not a fan of chicken thighs? Swap them out for chicken breasts. However, you will have to adjust the cooking time. Perhaps cooking the chicken breasts at a lower temperature and for a longer period of time. Say 350 degrees instead of 375 degrees and 30-35 minutes versus 35-45. What I love about this recipe for keto bacon wrapped Tex-Mex chicken sheet pan dinner is that it’s not only delicious but can be easily customized. Simply season your chicken thighs with my Tex-Mex seasonings and wrap them well with at least two strips of bacon. Once fully wrapped, lay them on top of your favorite keto-friendly veggies. Make sure that you choose vegetables that can stand up to 400 degree oven and are low in carbs. The result will be a juicy keto Tex-Mex chicken sheet pan meal, that you will be proud to serve. Take a look at the vegetables I chose to place under my keto bacon wrapped chicken thighs. It’s a medley of asparagus spears, red cabbage, peppers, onion and garlic. 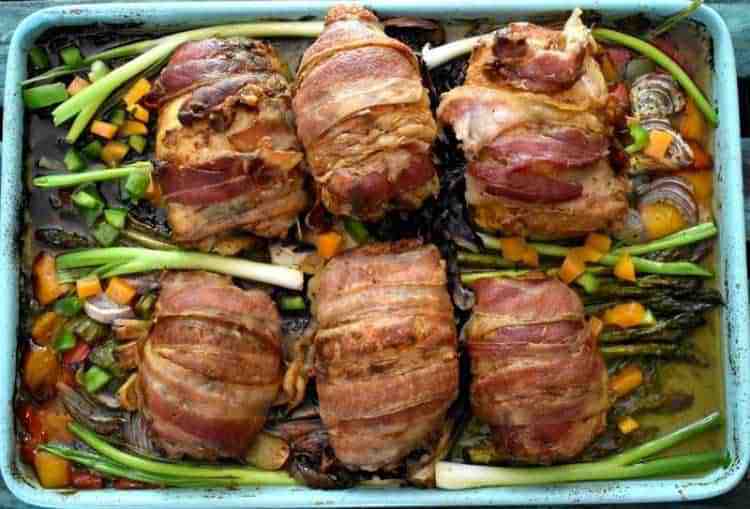 You can also choose to place the bacon covered thighs next to the vegetables if you want to keep them crisp. The juices of the chicken will spread to the vegetables. Turn your vegetables a couple of times to coat them in the drippings, so that they do not dry out. I didn’t add the vegetables to the nutrition label or recipe because it really should be what’s in the season for you at the time. Or what you may have on hand. So, have fun experimenting with your choice of veggies. Doesn’t that tray of vegetables look inviting? 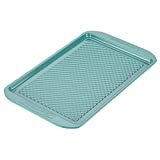 What about the aqua sheet pan? I am a firm believer in making meals look enticing and the use of an aqua sheet pan made my keto sheet pan meal even lovelier. Just look at that beautiful array of colors! Now imagine those vegetables cooked in the drippings of a bacon wrapped chicken? Yup it’s a winner alright. Something to keep in mind, is that the chicken may release a little more liquid than you like. What I do to remedy this, is to skim off the excess liquid midway through the cooking process. This way you can be certain that your vegetables don’t get soggy. Or like I stated earlier cook the vegetables next to the chicken instead of placing them underneath. This will require using two sheet pans so that your chicken and veggies are not overcrowded. If you are able to include carrots in your diet, I recommend you use them in this recipe because they can absorb the drippings well. 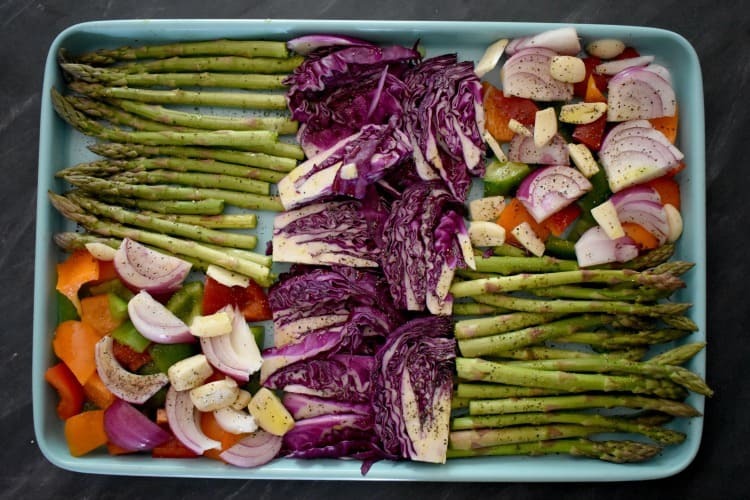 Most sheet pan recipes add root vegetables for this very reason. However, the majority of root vegetables are too high in carbs and therefore are avoided on a keto plan. But turnips and chunks of pumpkin would make a lovely low carb option. Another way you can address the extra liquid that the chicken will produce, is to remove the keto bacon wrapped chicken off the veggie lined sheet pan once it’s fully cooked. Then just let the vegetables cook alone until some of the excess liquid evaporates. I sure hope you will give this recipe a try, because weeknight dinners should be simple and keto sheet pan dinners makes them easy, healthy AND delicious. Once you do, make sure you remember to tag us on Instagram and Facebook. It’s what keeps this girl encouraged to keep sharing and perfecting her recipes. Don’t forget to checkout our Amazon Store for recommendations. You might be surprised by how many great keto options are at your disposal. Are you looking for a way to jumpstart your keto diet? 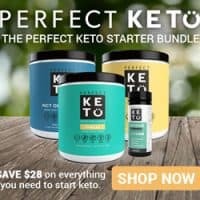 Have you been attempting the keto diet but are frustrated with the results you are currently getting? Not fully understanding the keto diet could prevent you from seeing results. What if you had a step by step guide that included meal plans, recipes and access to coaching via a private Facebook Group? That level of support would make it easier to reach your goals. 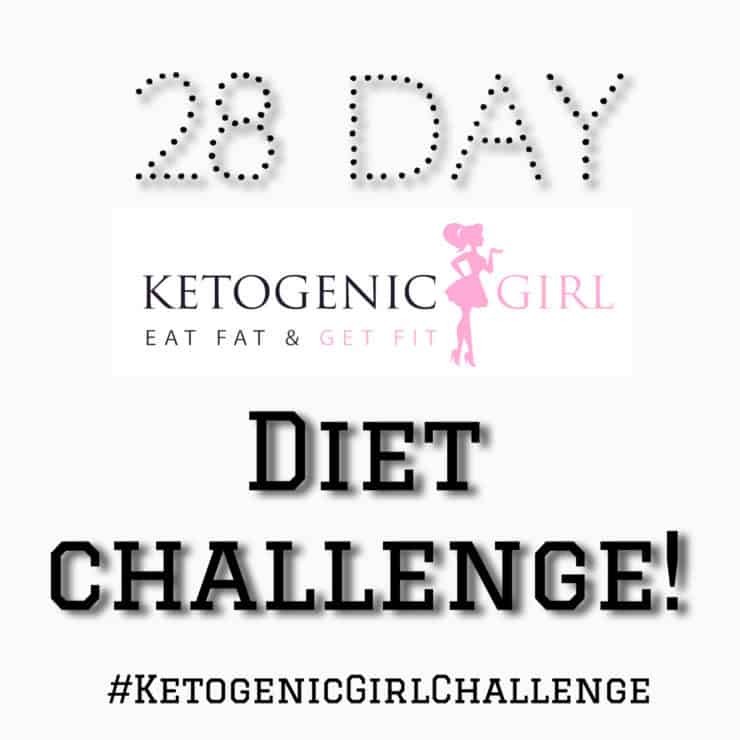 Well, I am thrilled to be able to offer you The Ketogenic Girl’s 28 Day Accelerated Meal Plan. It’s an all-inclusive plan to becoming fat adapted and the 28 day plan doesn’t even require exercise. Vanessa Spina is the Best Selling author of Keto Essentials and has a weekly podcast called Fast Keto where she shares her personal tips and interviews top experts of the Ketogenic diet. What I love about Vanessa’s 28 Day Keto Diet Challenge, it that it takes all the guess-work out of the equation. No more wondering if you are doing the keto diet correctly. This meal plan is for speeding up and simplifying your transition into being keto adapted and making sure that you get the high ketones that you are looking for. A recipe for Keto Bacon Wrapped Tex-Mex Chicken Sheet Pan Dinner. It's the perfect meal for busy weeknights. Combine all the spices in a medium sized bowl. Roll each chicken thigh in the spices and then wrap with bacon. Place the chicken thighs on large sheet pan lined with your choice of low carb vegetables. Bake for 35-40 until chicken is no longer pink and the bacon is crisp. To keep this recipe low carb and keto-friendly choose only vegetable that are permitted on the diet and that can withstand being cooked in an oven at high heat. This is the best chicken recipe I have ever made!! I told my family we will be eating it a lot. They said “great”!! Easiest keto dinner ever. I used the new “ brown” Swerve and it was amazing. Thanks!!!! Awesomeness Nancy! Glad it’s a winner for you and your family. Thanks for stopping by to encourage me.